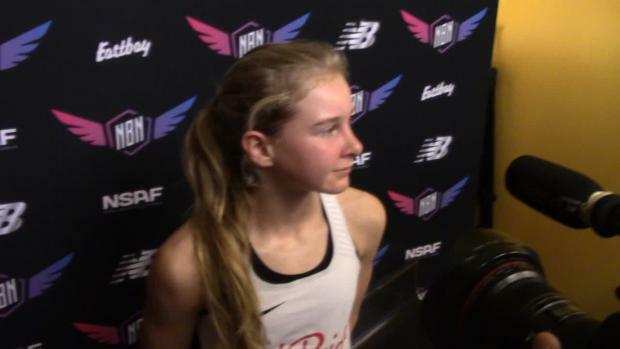 In a widely expected record attempt, North Rockland (NY) High School junior Katelyn Tuohy broke the indoor high school girls 3K national record on Saturday at The Armory in New York City, finishing third in a professional field at the Dr. Sander Invitational in 9:01.81, setting her career best time at the distance and surpassing Mary Cain's former mark of 9:04.51 from 2013. 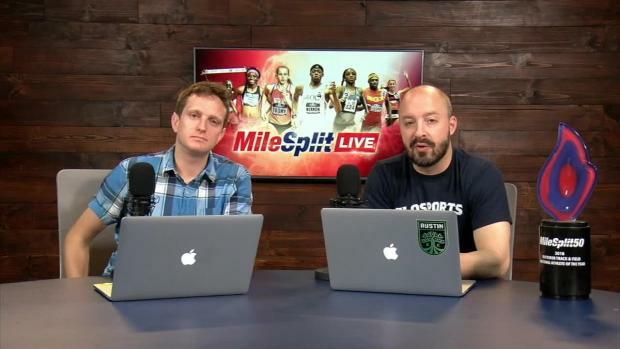 Two women broke 9 minutes, including the winning effort of 8:56.68 by Amanda Eccleston and second-place Heather Kampf (8:56.87). 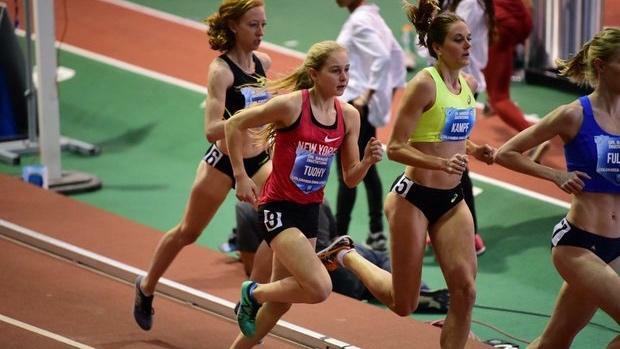 Tuohy was superbly consistent, scoring nearly identical 35-second laps through 1600 meters before she started to fade (36.3--37.1--36.6--37.4--38.3) over the ensuing six laps. But Tuohy found another gear in her final two laps, hammering home for laps of 35.08 and 35.6 seconds to finish off the record-mark. 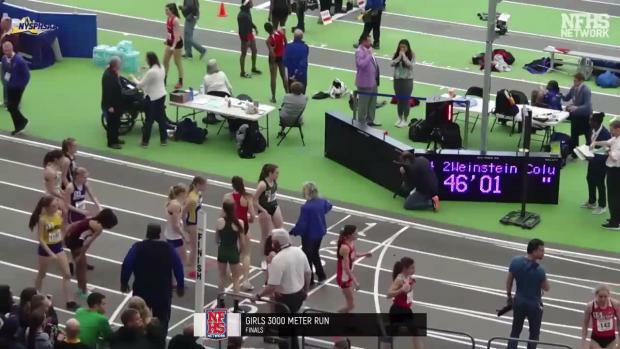 Tuohy's previous best at the distance came in 2018 at the Ocean Breeze Freedom Games when she set a sophomore class mark of 9:05.26. 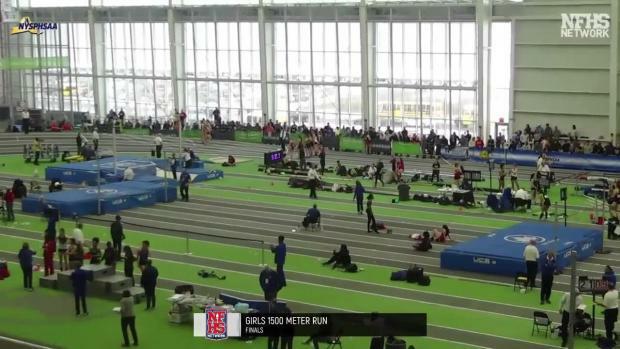 Tuohy also ran 9:09.71 at her state championship meet in June of last year.